The Notices of Judgment are resources in themselves, but also lead users to a physical collection of the evidence files used to prosecute each case. An archival collection consisting of over 2,100 boxes of correspondence, legal records, lab reports, product labeling, photographs and other documentary evidence accumulated in case files by federal attorneys is also available for research. A finding aid to the collection is available at https://oculus.nlm.nih.gov/fdanj608. The evidence files are controlled by the various Sample, S., or IS evidence file numbers found in the Notices's Numbers metadata field and are organized roughly by date. Contact NLM's History of Medicine Division for more information. 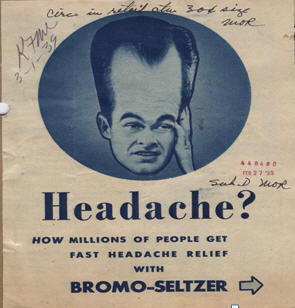 For online reference help email hmdref@nlm.nih.gov. 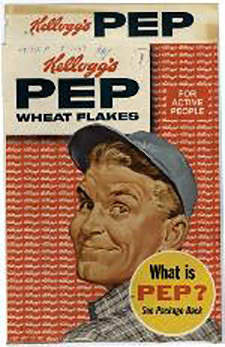 Kellogg's PEP cereal box sample, 1959, Foods Sub-Collection.